Being patriotic about your country is about as American as muscle cars, baseball, and apple pie with cheese melted on it. We celebrate the anniversary of our country's independence by grilling massive amounts of meat and shooting off colorful explosives into the sky. Wearing red white and blue clothes while saluting Ol' Glory is about the most American way to show love for your country! That is, unless you're sporting this dashing Velvet Uncle Sam Top Hat while you're doing your patriotic duty! 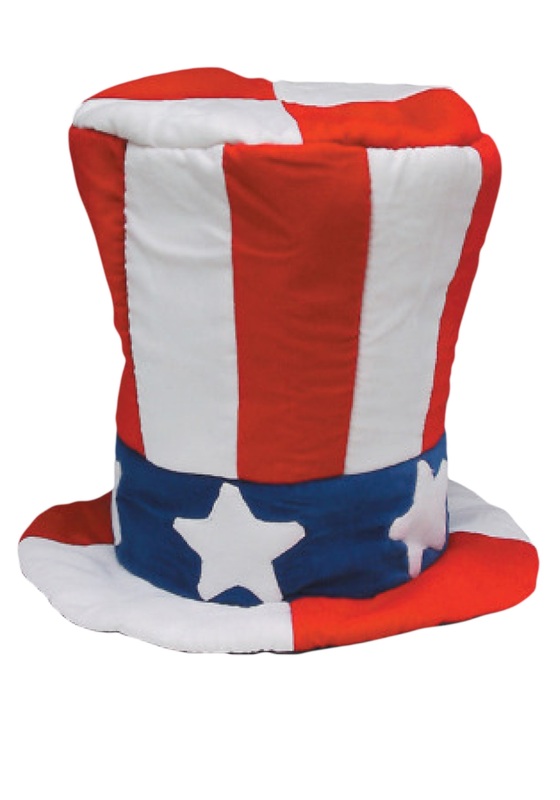 Not since a flag was planted on the Moon have the Stars and Stripes looked as majestic as they do on this top hat! Okay, maybe that's overstating it a bit, but it still looks pretty festive and fantastic with with your Uncle Sam costume. Or, while you're wearing it with your regular summer party clothes and enjoying the fireworks on the 4th of July!